China Is Supporting Syria’s Regime. What Changed? New piece for an outlet to which I haven’t contributed for some time, The National Interest. This time looking at trying to explain China’s enhanced engagement and interest in Syria with Michael Clarke of Australian National University. We are hopefully working on a longer writing related project along these lines in the future, and the topic is undoubtedle one there will more on. Beijing’s motivations are close to home. On August 14, Guan Youfei, a rear admiral in China’s People’s Liberation Army Navy, visited the Syrian capital of Damascus, escorted around the city under heavy guard. Guan’s visit reportedly included meetings with senior military officials and Russian officers, as well as pledges that the Chinese military would provide medical training for Syrian medical staff. The question is why China is increasing this engagement now. Admiral Guan’s engagement contrasts with previous Chinese behavior during the Syrian crisis. While China has been one of the few powers to maintain an embassy in Damascus throughout the current crisis, Beijing’s engagements have been fairly limited, and mostly focused on attempts from the Chinese Ministry of Foreign Affairs to insert itself into peace negotiations and occasional expressions of concern around individual nationals who appear on the battlefield (either as hostages or fighters). The approach has been driven by a mix of motives, including Beijing’s long-standing principle of “non-interference,” aversion to what China sees as largely Western-led regime change in the guise of humanitarian intervention and a Chinese desire to insulate its growing economic interests in the Middle East from the continuing consequences of the Arab Spring. That dynamic may now be about to change. China has started to become a participant in the many international discussions around countering terrorism, and ISIS in particular. China has participated in the Global Counterterrorism Forum and hosted sessions about terrorists’ use of the internet, while engaging in discussions at home about contributing more to the fight against ISIS. Last year, a decision was made to alter national legislation to allow Chinese security forces to deploy abroad as part of a counterterrorism effort, and China has sought to establish overseas bases in Djibouti. In neighboring Afghanistan, it has established a new sub-regional alliance between Afghanistan, Tajikistan, Pakistan and China to discuss and coordinate the fight against militancy and terrorist groups in the area. All these actions highlight the degree to which China is slowly pushing its security apparatus out into the world in a more aggressive posture than before. Seen within this light, Admiral Guan’s visit to Damascus is another piece in this puzzle, and the most ambitious yet in many ways for a power that has historically preferred to play a more standoffish role in addressing hard military questions. Looking to the Syrian context in particular, there are two major reasons for China’s apparent decision to begin playing a more forward role in engaging in Syria. One is China’s concern at the numbers and links of Uighur militants from its restive province of Xinjiang participating in the Syrian conflict. The other is its desire for geostrategic stability in the Middle East as it seeks to consummate its “One Belt, One Road” strategy. Of particular importance on the first count is the presence of the Turkistan Islamic Party (TIP) on the Syrian battlefield. TIP is a successor organization of sorts to the East Turkestan Islamic Movement (ETIM), a group that Beijing has blamed for violence linked to Xinjiang after 9/11. Beijing has claimed that Al Qaeda directly “funded and supported” ETIM, and while the scale of Al Qaeda’s direct support of ETIM has been widely disputed, the relationship between TIP and Al Qaeda has only grown closer since, with TIP garnering more Uighur recruits from 2009 onward and Al Qaeda leader Ayman al-Zawahiri praising Uighur contributions to the global jihad in a recent message. Chinese suppression in Xinjiang, especially after the interethnic riots and violence in the capital, Urumqi, in July 2009, has resulted in the development of what Chinese state media has dubbed an “underground railway” of Uighurs seeking to flee the region. Some of those have ultimately found their way to Turkey and onward to Syria to fight with TIP and other jihadist groups. By 2015, TIP had established a well-documented presence on the battlefield in Syria, with the group releasing a number of videos detailing its combat role fighting alongside Jabhat al-Nusra, until recently Al Qaeda’s affiliate in Syria. (TIP does not fight alongside ISIS; its leadership has released statements in which it condemns ISIS’s activities.) TIP is increasingly showing itself to be an effective force, participating in many major fights (including the breaking of the Aleppo siege) and showing off its skill, manpower and equipment. Historically, China has not had much economic interest in Syria, a country that prior to the civil war was more closely linked economically to its region, Iran and Russia. And more recently, China has continued to play a second-tier role. While it has had numbers of nationals join ISIS, others kidnapped and killed by the group, and the group has threatened it in some of its rhetoric, it does not appear to be much of a focus for the group. On the non-ISIS side fighting the regime, the numbers fighting alongside TIP seem to be quite substantial, whilst the group’s leadership and a core of the group continues to fight in Afghanistan. 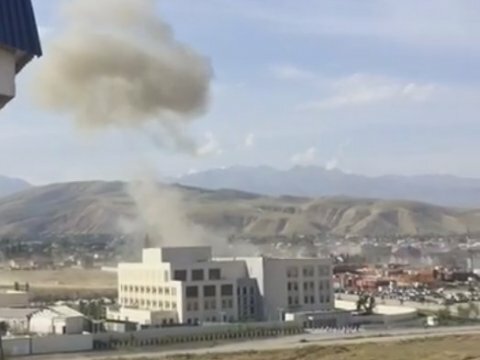 And, according to Kyrgyz authorities, this connection may have now matured into the attack that took place in late August against the Chinese embassy in Bishkek. This threat from TIP in particular is one that is therefore becoming of much greater concern for Beijing. Yet it is not clear who is focused on fighting TIP on the ground in Syria. Western powers fighting in Syria are for the most part focused on ISIS and less focused on the groups fighting against the Assad regime, like TIP. Turkey’s historical proximity to the Uighur cause has raised concerns with Beijing; Uighurs are a people whose culture and language are very close to Turkey’s, and Uighur flags and symbols are regular features during AKP rallies. Erdogan himself has expressed support for the Uighur cause, and back in 2009, in the wake of rioting in Xinjiang that led to some two hundred deaths, he referred to Chinese activity on the ground as “a sort of genocide.” Since 2012, Uighurs have been found traveling on forged Turkish passports in transit countries like Malaysia, Indonesia and Thailand, raising questions of Turkish complicity. Leaked ISIS documents show a consistent flow of individuals through Kuala Lumpur, as well as other Southeast Asian routes to Turkey. The current fracturing of the Middle East as a result of the Syrian crisis, however, poses a central roadblock to China’s ability to make this vision a reality. In this context, Beijing views the United States’ approach to Syria as driven by Washington’s desire to use the civil war as a pretext to overthrow the Assad regime in order to weaken Iran’s growing power and influence in the Middle East. In contrast, Russia has been firm in its commitment to root out what it calls the “terrorist” threat there in support of the regime in Damascus, and Beijing has been impressed by the manner in which Russia’s decisive moves have had an effect that years of attrition on the battlefield failed to achieve. So Beijing may now have arrived at the conclusion that supporting Assad and taking sides with Russia is the most viable option to effectively combat the growth of TIP. Increasing its involvement in Syria via military-to-military cooperation can also be seen in the wider context of a PLA keen to develop its overseas experience, in areas from peacekeeping to antipiracy missions to counterterrorism. David Shambaugh eloquently argued in 2013 that China remained a “partial power” whose diplomacy “often makes it known what it is against, but rarely what it is for” and that this made its foreign policy in many regions of the world “hesitant, risk averse and narrowly self-interested.” This calculus is now changing under pressure from developments in the Middle East and Afghanistan that directly threaten core Chinese interests and are metastasizing into the very terrorist threat that China has long said it is concerned about. The response from China is relatively predictable—an outward security push. The question that remains, however, is how deeply China wishes to plunge into troubled waters to defend these interests. Dr. Michael Clarke is Associate Professor at the National Security College at Australian National University. Raffaello Pantucci is Director of the International Security Studies at the Royal United Services Institute (RUSI). 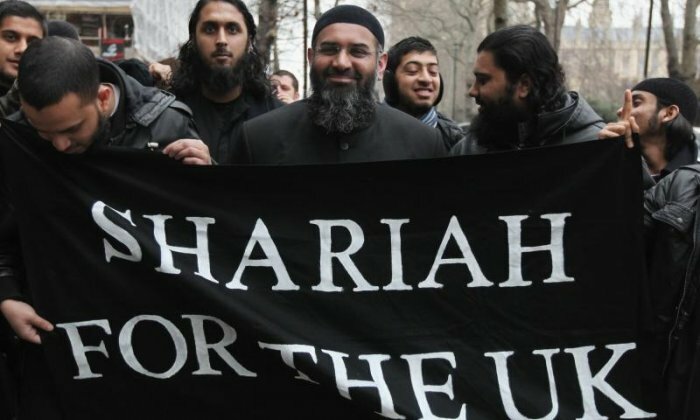 With Anjem Choudary in jail, will his al-Muhajiroun terror network collapse? A post on an old topic for a new outlet, a new British radio station called Talk Radio that asked for some speculation about what happens to al Muhajiroun now that Anjem Choudary has been jailed. Probably not a huge amount, but undoubtedly the loss of their star performer will have some knock on effect to their networks and influence. With Anjem Choudary in jail, will his al-Muhajioun terror network collapse? The jailing of Anjem Choudary is not the end of al-Muhajiroun, the extremist group of which he was the fulcrum. Whilst a process of attrition has seen a number of the group’s more prominent members in jail or disappearing into the conflict in the Levant, a number still remain in the UK. The question is which of them will be able to fill Choudary’s role as prominent and public speaker for the organization. It is worth pointing out that it is in the first instance that membership of al-Muhajiroun is almost impossible to pin down. Given the absence of formal membership cards, all that can possibly be done is point out that a constellation of individuals persistently show up at each other’s events, and advocate the same message and are involved in similar activity. This in many ways constitutes a group, but it is difficult to talk about it in absolute terms with the organization staying largely amorphous and fluid, reflecting a regulatory environment that quite aggressively tries to clamp down on them. Of those that are left, therefore, who might be identified as future spokesmen for the group’s message? 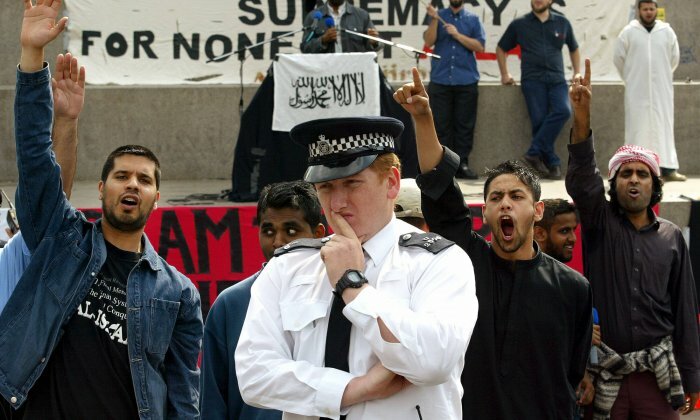 In an interview after Choudary’s jailing, Ricardo Macfarlane, also known as Abdul Hakeem, a man who was jailed for participating in ‘sharia patrols’ around East London, pointed out that Choudary’s incarceration ‘leaves big boots to fill.’ Macfarlane may have some history, but lacks the preaching charisma of others. Some, like Abu Haleema or Abu Waleed have some history with the community and have been advancing the message publicly for some time through various videos and online speeches. But the reality is that one of the criteria for participation in the community is propagation and advocacy, which in many ways makes them all preachers. Some may be more articulate than others, but all of them are driven by spreading their violent message as much as possible. Consequently, they will all be filling his boots in different ways. In his absence, the group will not go away, but it may lose some of its public profile. This will reduce some of its magnetic power, as others lack his links and attention-grabbing power. The media will focus less on the others given their different personalities and loquaciousness. But the remaining figures will likely remain persistent features of investigations. A survey of the eight different terrorist plots disrupted in the United Kingdom since the murder of Lee Rigby in Woolwich in May 2013 that have shown up in courts show that at least five have clear links to the group, two with tenuous links, and a final one that may also be linked but the detail has yet to emerge. All of which suggests that security and intelligence agencies will continue to look at the community as one of the beating hearts of the terrorist threat that the United Kingdom faces, and has continued to face since the late 1990s. More catch-up posting this time for the Telegraph in the wake of the suicide bombing on the Chinese Embassy in Bishkek. Also spoke to Voice of America, Financial Times, Guardian and BBC Chinese on the topic. A suicide attack on China’s embassy in Bishkek, Kyrgyzstan will have little registered on most British radars. Yet, it marks a significant moment for China, as one of the first times that China has come so directly into the crosshairs of terrorists outside its borders. Details may be scant at the moment, but it appears to mark the first time a Chinese diplomatic compound has been hit in such a way. It is also the latest marker in a gradual escalation of a terrorist threat that China is finding itself facing and points to an interesting marker in the growing normalization of China’s global role. At the moment, it is unclear who is responsible for the attack. Early reporting seems to indicate Uighur extremists, and the targeting of the Chinese Embassy is a clear message. Uighurs are a minority community resident mostly in China’s westernmost region (Xinjiang, that is adjacent to Kyrgyzstan), who have long chafed under Beijing’s rule. This anger has expressed itself in large-scale riots between communities in China, a growing emigration of unhappy Uighurs from China, terrorist incidents within the country, and increasingly now violence outside the country. 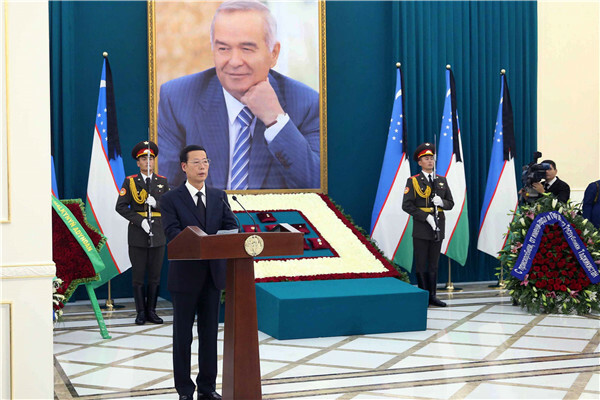 The incident in Bishkek is not the first time that Uighurs have come under blame for attacks against Chinese officials in Kyrgyzstan, and it is not the first time that Uighurs have been linked to attacks against Chinese targets outside the country. A group is currently under trial in Thailand for their responsibility in a bombing of a shrine popular with Chinese tourists in Bangkok in August of last year. But the targeting of the Embassy like this shows the degree to which China’s terrorist problem is one that has metastasized. China has growing numbers of Uighurs and other nationals fighting in Afghanistan and Syria – both with Isil (the various leaks of Isil documents show almost 200 records that show links to China), whilst those fighting with other groups under the banner of a group called the Turkestan Islamic Party (TIP) alongside other jihadi groups fighting against the Assad regime number possibly into the high hundreds. 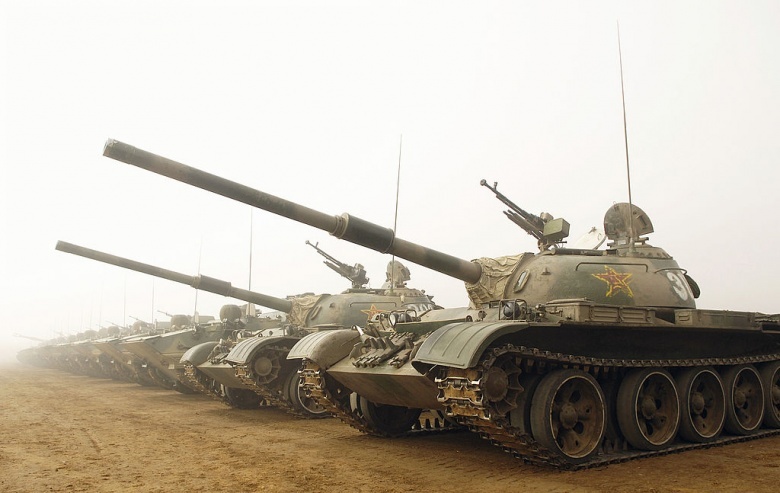 Both groups have threatened attacks against China, though it is not clear that they have actually allocated many resources towards trying to achieve this. Where China has usually faced the menace of international terrorism, it is more usually in an incidental fashion with nationals in the wrong place at the right time. And whilse groups have sometimes claimed to have been aiming for China – like in July last year when Somali group al Shabaab struck the Jazeera hotel in Mogadishu killing 12, including a guard at the Chinese Embassy which was operating out of the building, and later released a message saying the attack was in solidarity for Uighurs’ treatment in China – there has been little evidence that they were really the intended target. In fact, in its early days, al Qaeda did not appear to really engage much with the Uighurs’ cause or see China as a natural enemy. In an interview in 1999 Osama bin Laden denied all knowledge of Uighurs saying: “I often hear about Chinese Muslims, but since we have no direct connection with people in China and no member of our organization comes from China, I don’t have any detailed knowledge about them.” And other al Qaeda ideologues at the time spoke of the alignment of Chinese and al Qaeda’s interests in fighting the United States. Fast forward to today and current al Qaeda leader Ayman al Zawahiri has loudly praised Uighur extremist leaders in some of his recent speeches. At the same time, Isil leader al Baghdadi has specifically threatened China in speeches and his group has ransomed and been responsible for the deaths of Chinese hostages. An almost complete turnaround for China, and something that highlights the degree to which China has ascended to being a front line power with all the problems and responsibilities that are associated with that. The full contours of what has taken place in Bishkek are still unclear. It may yet prove to be something with deeper local links and causes, but it comes against a broader trajectory of China increasingly finding itself in terrorist cross-hairs around the world. This is the darker side of global power and projection, and something China is going to have to get used to.